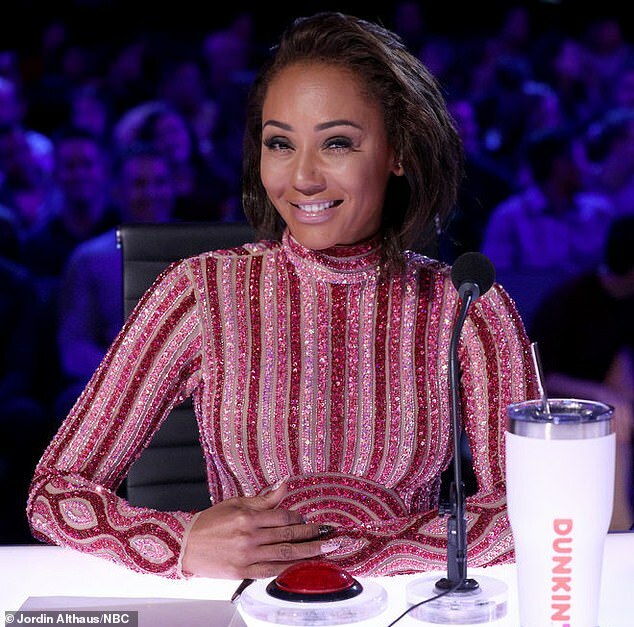 Simon Cowell urged the audience to boo Mel B after she criticized a performance on Monday’s episode of America’s Got Talent: The Champions as the final 12 competed. The 59-year-old judge and Got Talent franchise creator rushed to support his Golden Buzzer pick Kechi Okwuchi, 29, after the airplane accident survivor performed Opportunity from the 2014 film Annie. Simon and judge Howie Mandel, 63, both gushed about Kechi’s rendition with the English media mogul calling her a ‘star’ and even telling her, ‘I love you’. Mel, 43, told Kechi that she was one of America’s favorite acts and paused as her tone turned to deliver a critique. Simon warned her to stop, but Mel continued and told Kechi that the ‘song lost you a little bit’ earning some mild booing from the studio audience. ‘You’re not booing loud enough,’ Simon said as the crowd responded and booed even louder. Nigerian-American singer Kechi was one of only two survivors of the Sosoliso Airlines Flight 1145 crash in December 2005 in Nigeria that killed 108 people.